Rev up your furnishings with reversible top on this mobile desk. A 1" laminate top may be reversed between Mahogany and Medium Oak to match double the decor. The top measures 53-1/2" wide x 28" deep to hold large office machines. Capacity is 200 lb. centered on the top surface. Full-width lower shelf is 6-3/4" deep to store supplies and holds up to 40 lb. Desk also includes a black steel base. Cable routing cutouts are featured for installation along a wall. 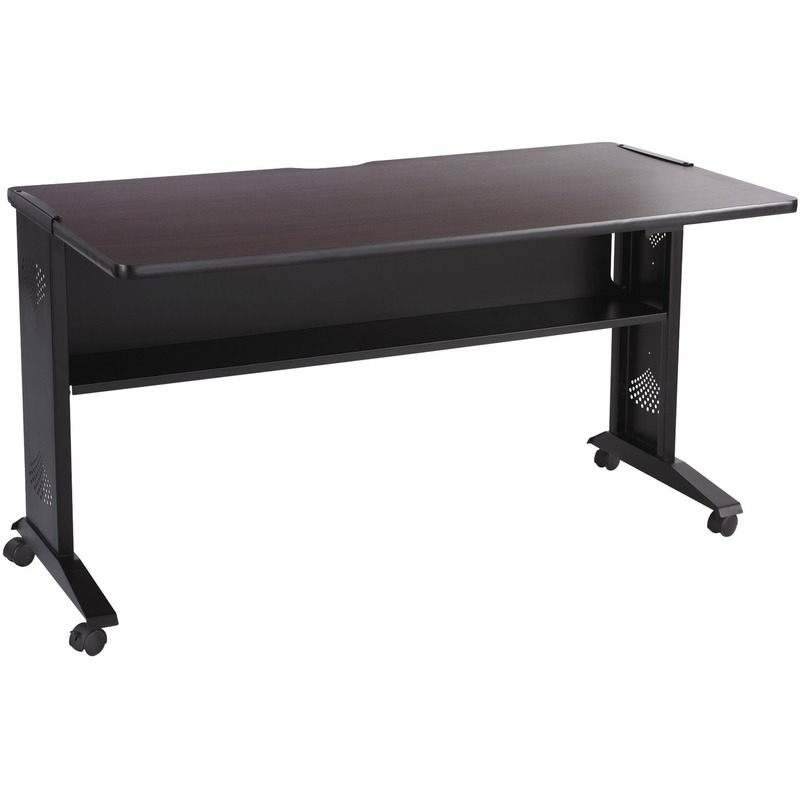 Computer desk moves easily on four dual-wheel casters (two locking). Combine with the Safco Fax/Printer Stand different size tables according to your space and equipment requirements to form a complete work area.